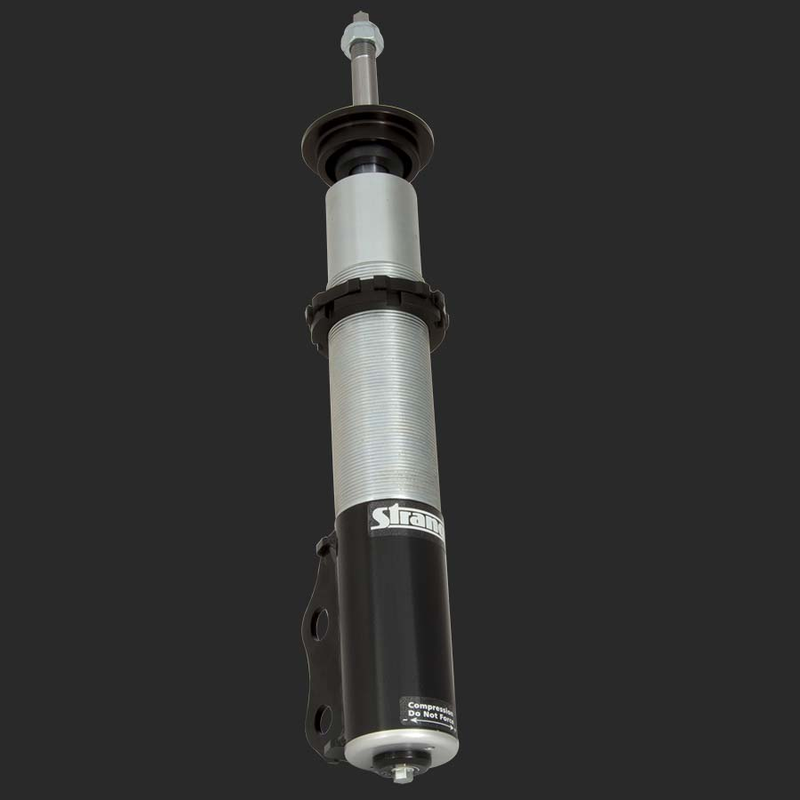 Double adjustable coil-over strut for Drag Race applications. Provides the ultimate in control for tuning your vehicle as track conditions change. Separate controls provide precise adjustments to specific valving. Coil-over design offers convenient ride height adjustments. Independent 10 extension and 10 compression settings provides a wide range of control. Knobs allows precise valving adjustments to offset changes in conditions. Installs in 1 to 1 1/2 hours. 2005 2006 2007 2008 2009 2010 2011 2012 2013 2014 Mustang GT V8 V6 Roush Saleen & Steeda Vehicles. **Does not clear GT500 Shelby wheels, does not fit on 2013 & 2014 GT500 Shelby with Track Package** No one else can stack up to the bold clean styling of our aftermarket Billet dress ups, Street Strip & Racing Suspension & Performance Parts for your late model American Muscle Car!